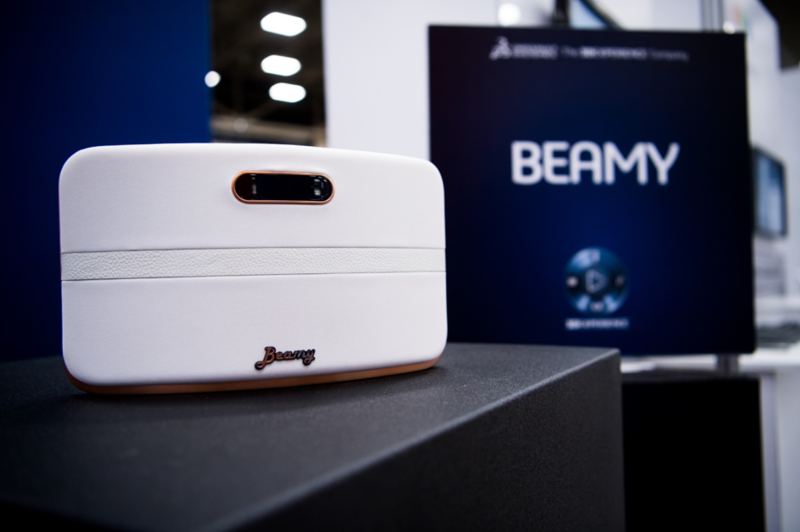 In order to showcase the power of the 3DEXPERIENCE platform for sharing data and driving product design along each stage from Ideation to Manufacturing to Point of Sale, we present the example of a “BEAMY 2″ Smart Speaker Device. NETVIBES and EXALEAD, along with other Dassault Systèmes brands, presented this story at a recent event, highlighting how manufacturers can create better products using data intelligence. Watch the video below to see the first stage of the “BEAMY 2” design process: Social Ideation and Collaboration. Using NETVIBES Dashboard Intelligence, we can analyze what is happening in the marketplace and leverage those insights to design a better product for our customers. To develop customer-centric user requirements for our new “BEAMY 2” Smart Speaker device, we begin by listening to and analyzing the conversation happening online. Looking at Share of Voice, we can see people are talking a lot about smart speakers and entertainment. When we look at the most popular themes and expressions mentioned in the articles, several video-related topics appear in the list, suggesting that adding a video capability to our smart speaker may be of benefit to customers. Curiously, we notice that “Portability” is a very popular topic mentioned—even more so than “Image Brightness.” Drilling down into the data, we can track the evolution of this topic over time. By reading the articles, we can understand the context and discover exactly what audiences are talking about around “Portability.” Through this analysis, we find that users are interested in actually taking their device outdoors. In that case, the device will need a battery, and our company will need to set a target battery life for the new smart device. In order to determine a target battery life, we can begin by analyzing articles that mention battery life in competitor products. NETVIBES automatically analyzes the data, and we can also use human analysis to read the articles and apply custom Opinions for further analysis. The majority of projectors have four hours of battery life or more. However, we will need to determine the actual target figure for our device by conferring with other departments. To develop the design idea, we will start a discussion in our 3DSwYm community, where we can collaborate and discuss ideas on the 3DEXPERIENCE platform. We notify everyone who should be involved in the decision for the battery, and they can view the relevant data and weigh in on the decision directly from the platform. The idea may go through multiple iterations and will progress through several steps before it becomes a mature Idea that is added to the project plan. From the platform we can see all the ideas related to a project, as well as all projects and data relevant to our department. This is where Ideation ends and Project Planning begins—the next step in design of the “BEAMY 2”.